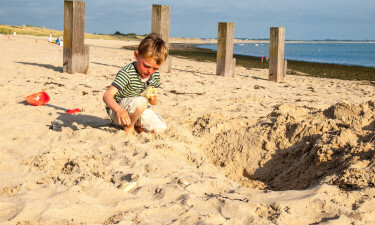 With all the sunshine hours of the south of France but only half the travelling distance from the channel ports of the UK, it’s easy to understand the popularity of the Vendée for your camping holiday. If you would like to discover the delights of the beautiful Vendée region and find out more about how Lux-Camp can help make luxury camping a reality, please get in touch. From picturesque towns and pine forests to the sandy beaches of the Atlantic coast, the area offers true relaxation and even culture for those who wish to explore. The Vendée region of the west coast of France is steeped in history; its early civilisations of hunters and fishermen date back over 14,000 years. Now with modern attractions too, this beautiful area has coastline and countryside to offer something for all ages. Why should you choose Vendée? Sol a Gogo is situated near Saint Gilles Croix de Vie in the northern Vendee, this four-star campsite is very conveniently located for the ferry departure point for the Ile d'Yeu, and the seaside resort of Saint Jean de Monts. It offers water slides and is only 50 metres from the sand dunes and beach. Le Clarys Plage is also located near St Jean de Monts and the beach, this popular campsite has a children’s park and is near other activities including a golf course, with cycle tracks around the park. Facilities include a heated pool and Jacuzzi, as well as tennis, football and badminton. An on-site bar offers entertainment, in addition to a number of nearby restaurants. The nearest town is 7,5 kilometres from the site. La Garangeoire is a five-star site between Les Sables d'Olonne and St. Gilles-Croix de Vie, in a large area of woodland with children’s park, walking paths and fishing lakes. Some 13 kilometres from the nearest beach, this site offers a heated water complex including a safe toddler’s pool, with decking. Horse riding is available on site; nearby "Le Grand Défi" (an adventure and activity park) offers with tree climbing and zip-wire descents over lakes. The mild, sunny climate makes the beautiful Vendée beaches a great place to relax. The area boasts approximately 160 kilometres (100 miles) of gently shelving, mostly sandy beaches – many with easy road and path access. 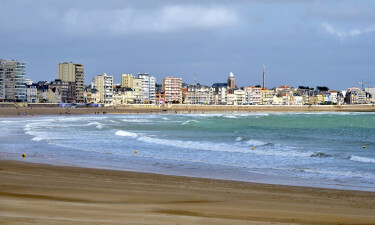 The main resort town of Les Sables d’Olonne has a particularly attractive and popular sand beach. The area has regular street markets for fresh food and local produce, in addition to art galleries or museums reflecting the area’s rich maritime history. Les Sables is home to a seashell museum and in Nantes, the Jules Verne museum depicts the writer’s creativity. Why not visit one of the concerts and festivals, as well as special events and exhibitions? Later, there are seafood dinners or the sunset views over the Atlantic Ocean to enjoy, perhaps with a glass of the local wine. 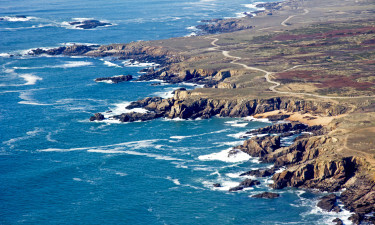 The Ile de Noirmoutier is only half a mile from the coast and connected to the mainland by an impressive bridge or "le Gois", a three-mile tidal causeway. There is a zoo, a safari park, farms, windmills and castles. Young visitors can choose from traditional donkey rides to modern theme parks including the Indian Forest. Alternatively, the area known as Green Venice has flat bottomed boat and canoe hire, to explore and the canals and streams of the salt marsh and wildlife haven. The active will love the hiking and cycling paths, or there are horse riding centres and jet skiing.